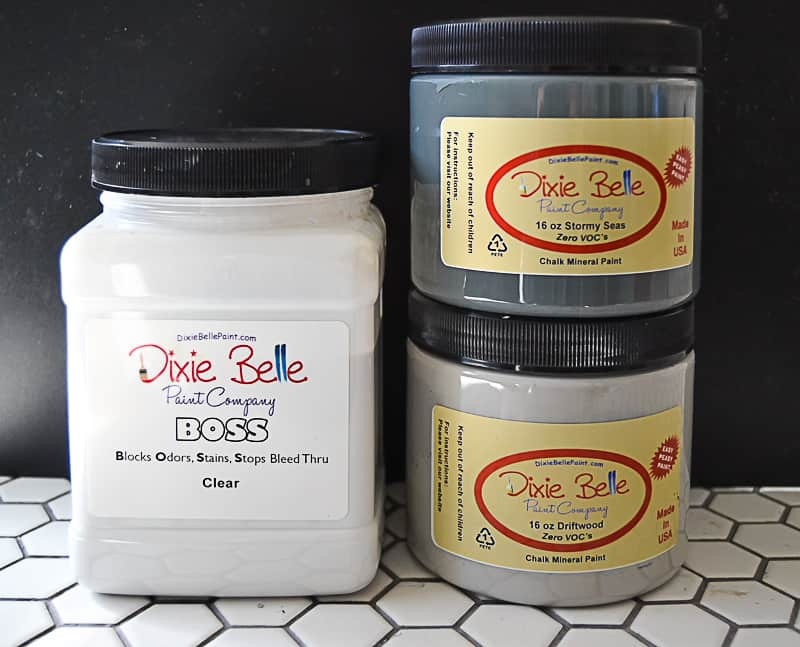 I want to thank Dixie Belle Paint for partnering with me on this china cabinet makeover. All opinions are my own. 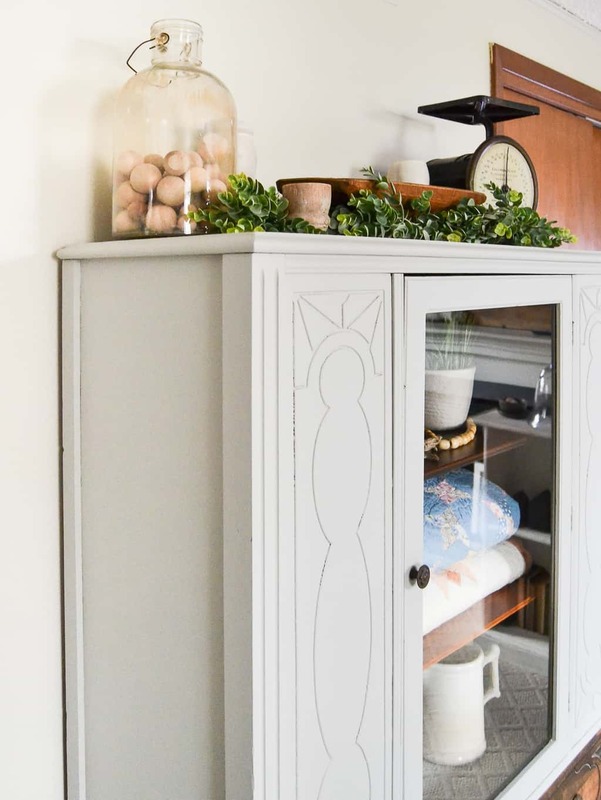 This china cabinet makeover is one of my favorites!!!! When I found this piece, I wavered back and forth about it and now, I am wondering why. 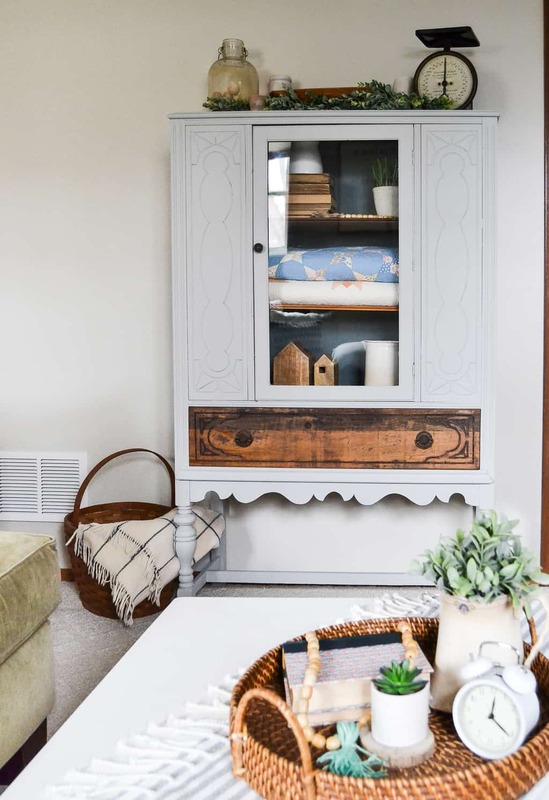 Sometimes when I am hunting for pieces, I am confident and buy something as soon as I see it and other days, it is like I am super picky or something and over-analyze every inch of the pieces I am finding. This time, I should have known this piece was going to be stunning. When I bought it, there was really nothing wrong with it. 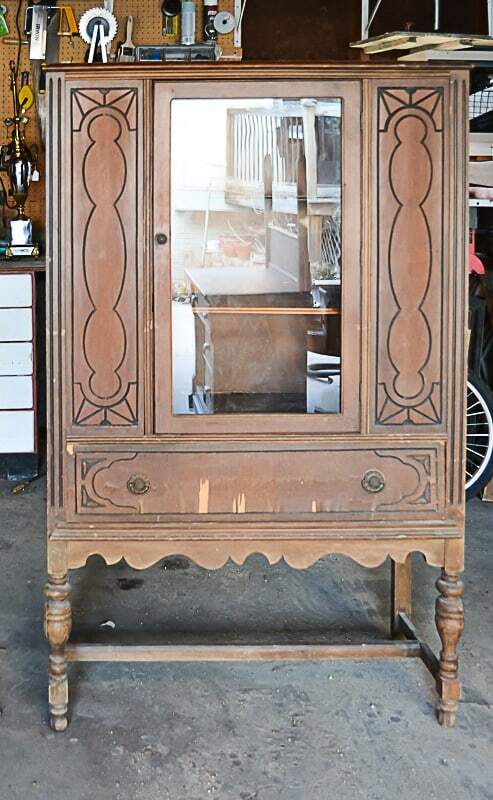 This china cabinet has tons of character. The legs have so many curves and the details on the side panels and the drawer are beautiful. I knew when I picked up this piece I would be painting it. I thought about a bright color at first, but then I decided on gray. 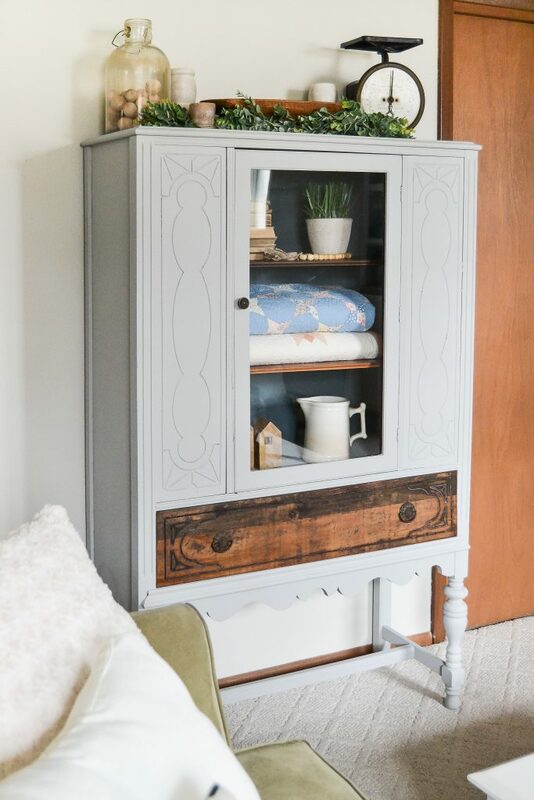 Gray is a neutral color and I wanted to add a different color to the back inside panel and leave the shelves the wood tone they were. To start the makeover, I did the “removing veneer technique” on the drawer. I let it sit over night and the next day, I was able to scrap it all off (again, I shared this entire process on my Instagram page). Once I had it scraped off, I sanded it all with my orbital sander to get any excess veneer off and smooth the entire drawer. 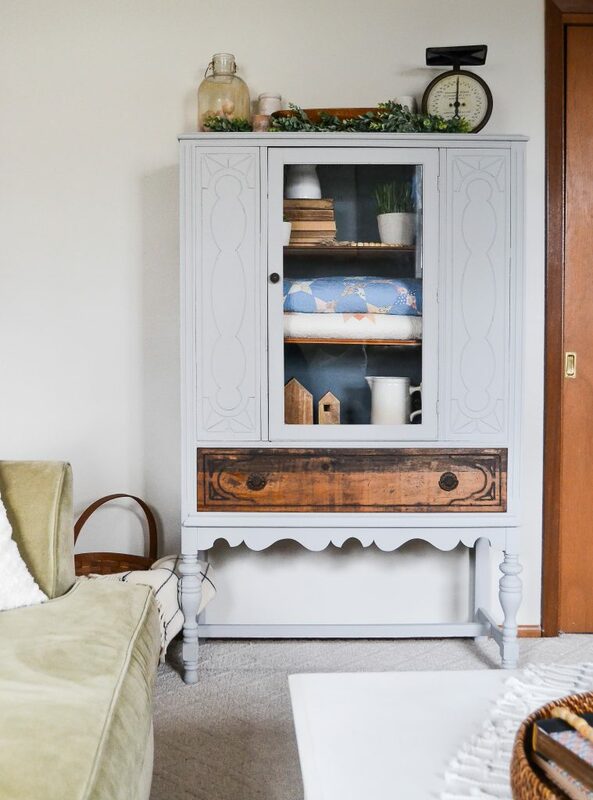 Next, I painted the china cabinet in two coats of Dixie Belle Paint “Driftwood” . Then, I painted the back inside panel in Dixie Belle Paint “Stormy Seas”. When I had the entire piece was painted, I used Hemp Oil on the shelves and it made the wood *pop*! Gorgeous! I left the shelves as-is because I love the look of wood with paint. After that, I was inspired to stain the drawer instead of painting it. I am so glad I did because it looks amazing! This china cabinet has so much character and the paint only highlighted it all. 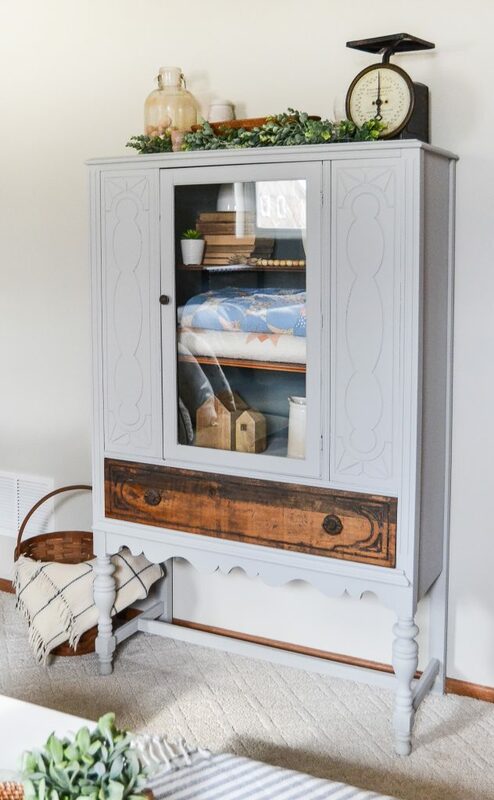 This would be cute to use in a dining room, living room, bathroom or entry. 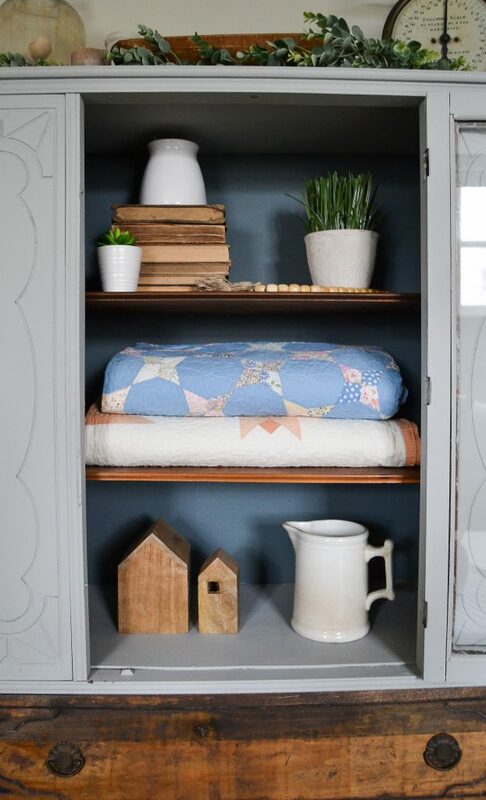 It could be used to store all kinds of things and it will make the space it is in that much more cozy and beautiful. This turned out sooooo pretty!! Love it! 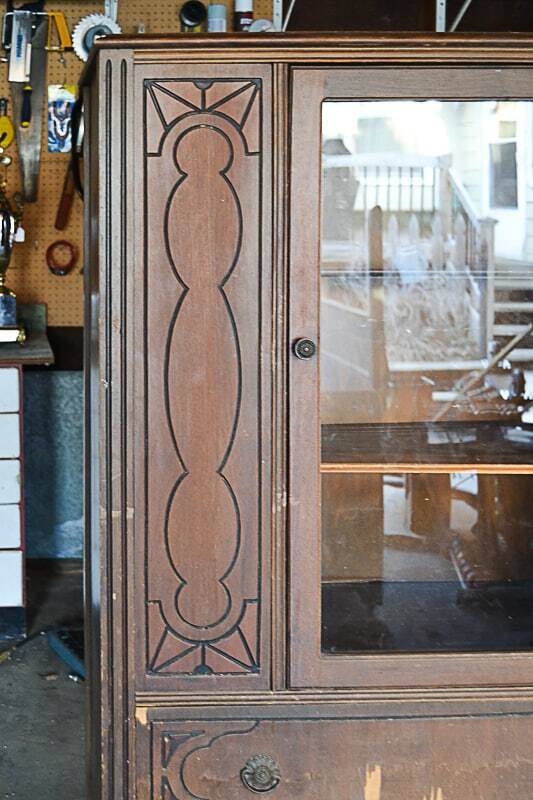 I like the staining at the middle drawer, great job.